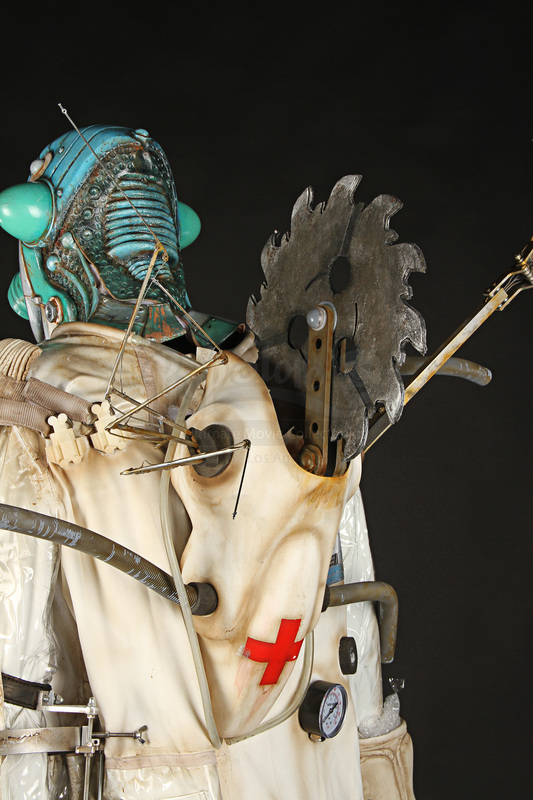 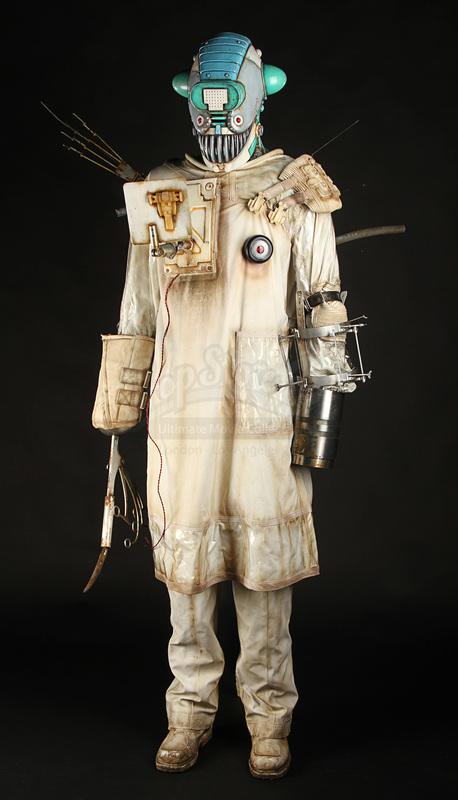 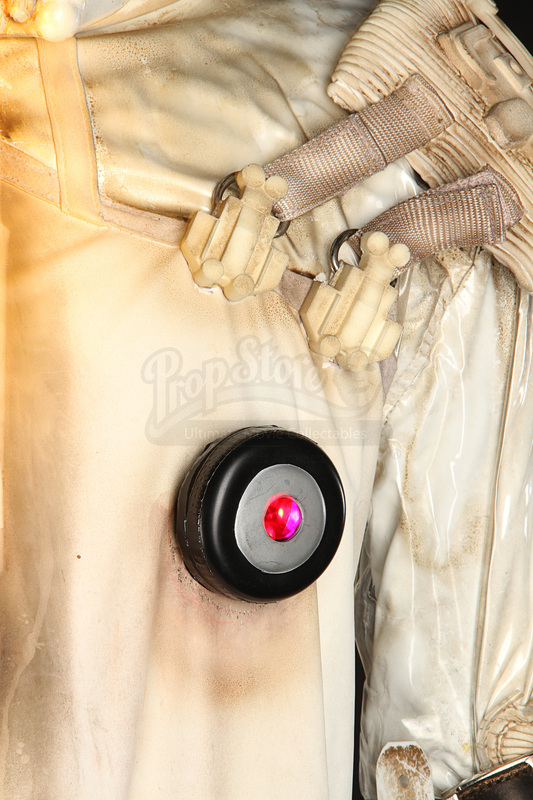 A costume worn in the production of the cult sci-fi TV show Red Dwarf. 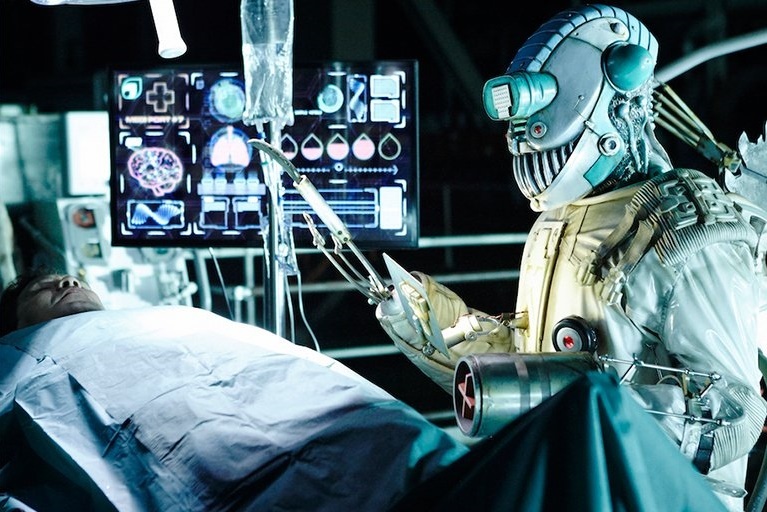 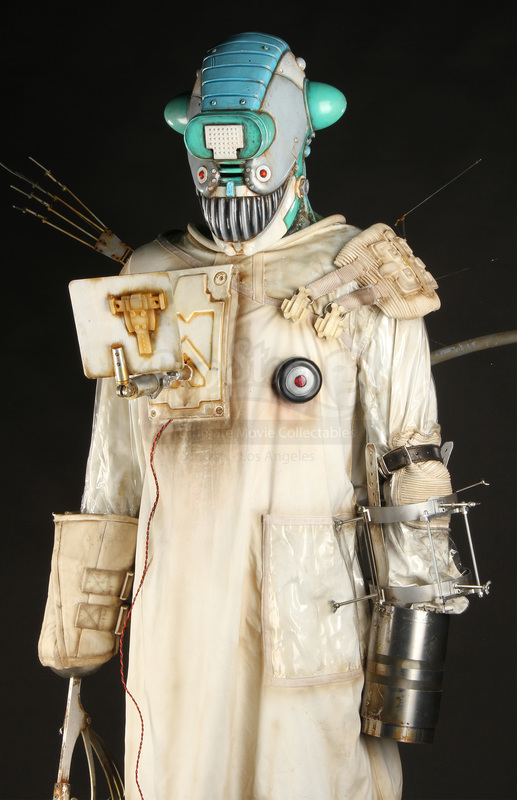 This costume was worn by the robotic surgeon Asclepius (Jami Reid-Quarrell) in the Series XI episode “Give and Take”, in which the deranged robot steals Lister’s (Craig Charles) kidneys, with the Cat (Danny John-Jules) the only donor left in the universe. 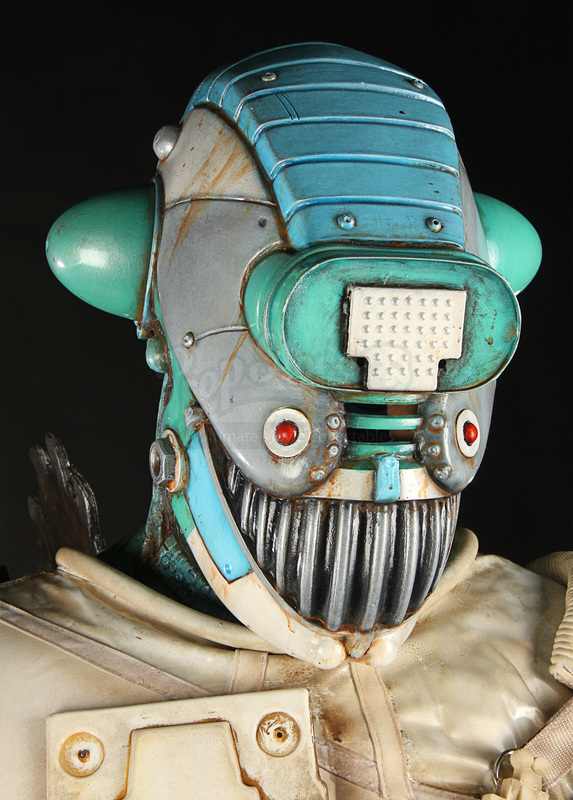 The costume was the only one created for the character and screen matches to its appearances throughout the episode. 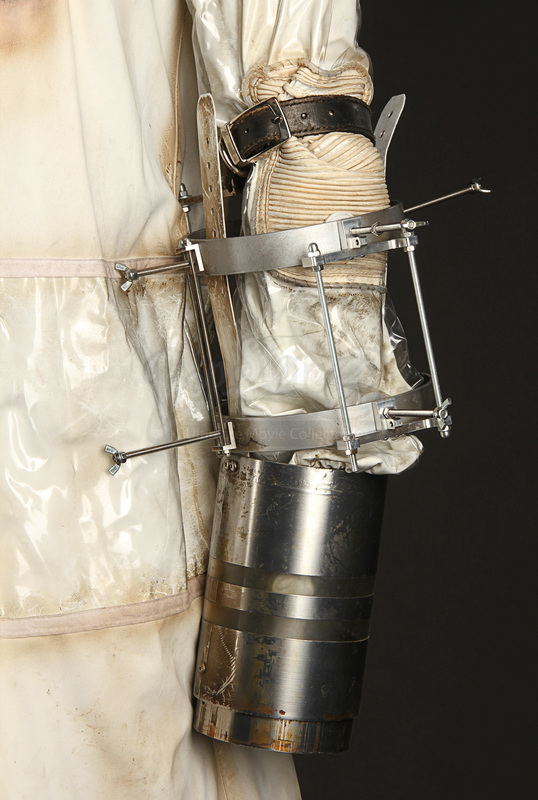 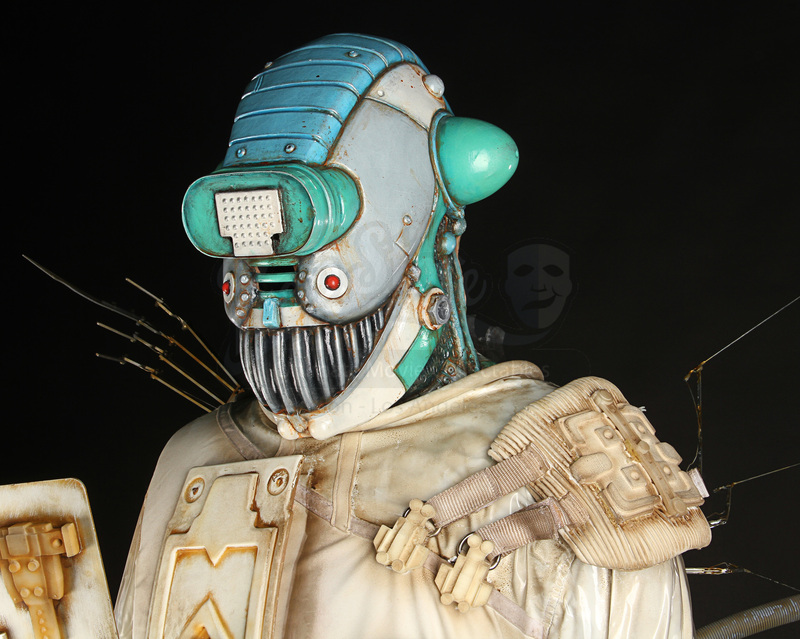 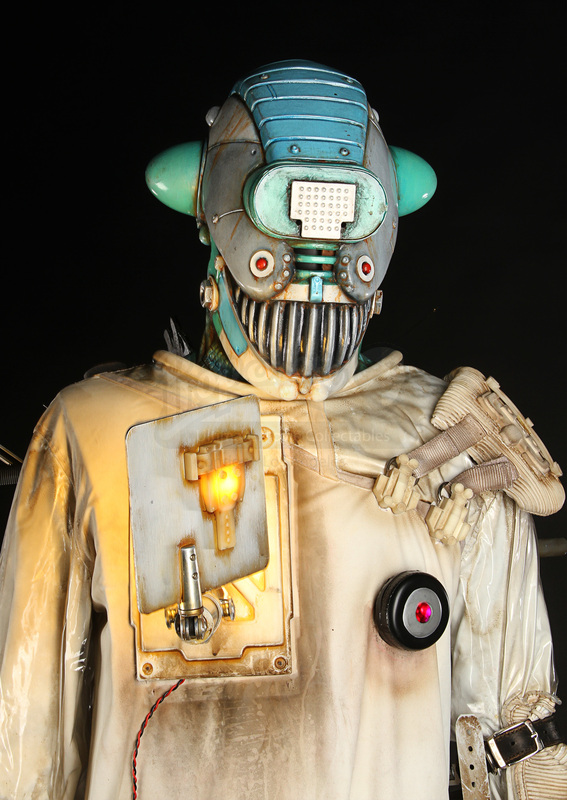 The costume is composed of a white pair of rubber trousers, a matching jacket with clear plastic panels on the arms and pockets and a pair of boots, over which is worn a terrifying robot mask, a backpack covered in saw blades and robotic arm tools, a light-up LED panel powered by 9v batteries and two arm “prostheses” fitted with terrifying surgical blades. 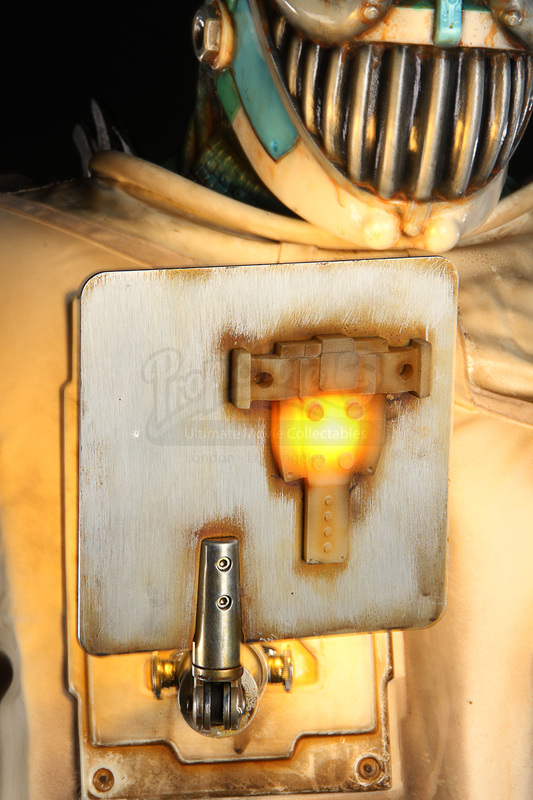 A red light-up device is fitted on the chest. 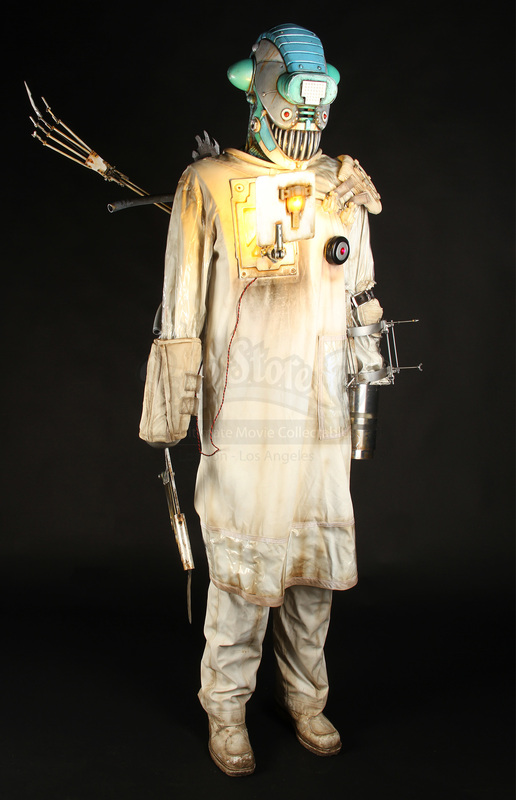 The costume is intentionally distressed to look rusty and hard-worn from years on the dilapidated space vessel, with dirt and rust finishing across the clothing and robotic appendages. 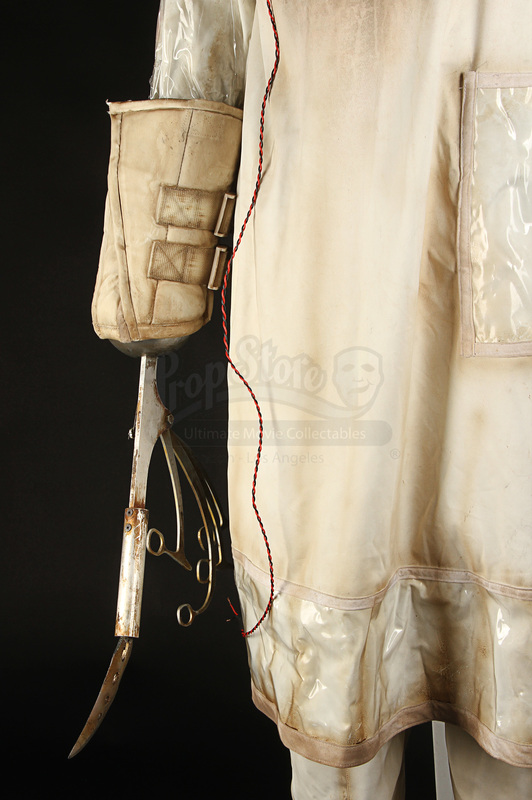 Displaying only minor signs of wear from use on the production, the costume remains in very good condition. 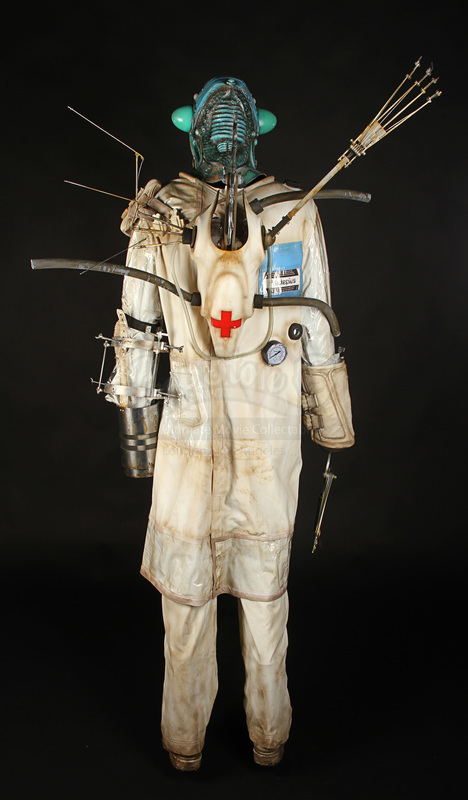 Please note: Due to the fragile nature and the size of the costume’s components, this costume will require specialist packaging and freighting. 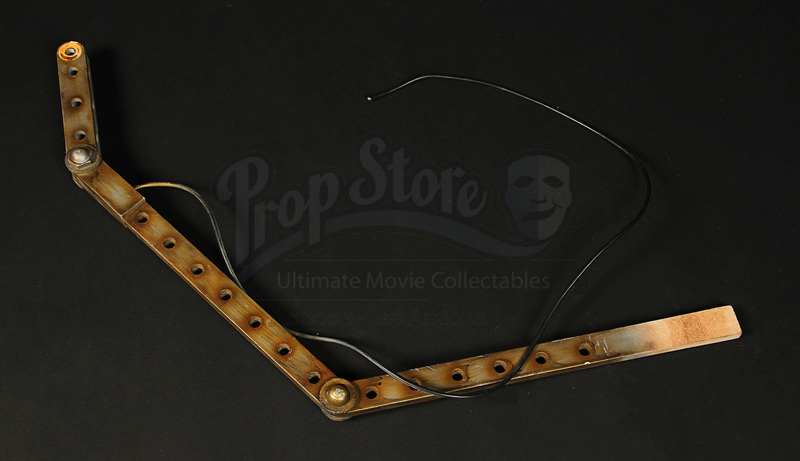 Please contact us for a shipping quote prior to purchase.